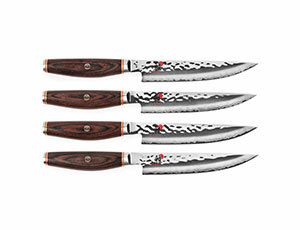 Miyabi Artisan SG2 Steak Knives are ideal for an elegant dinner of tenderloin steak, grilled lamb chops and more. 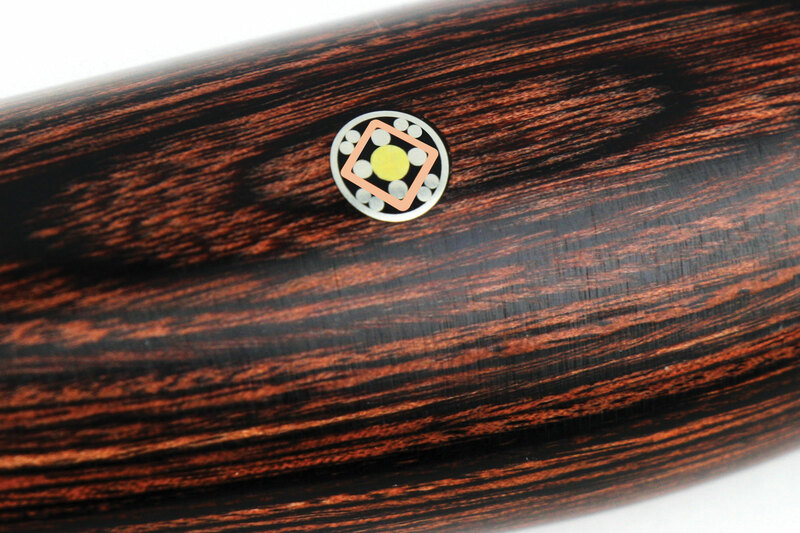 Miyabi Artisan SG2 combines beauty with expert craftsmanship. 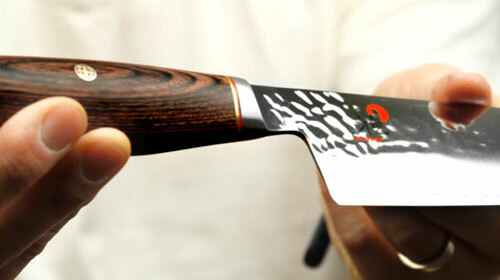 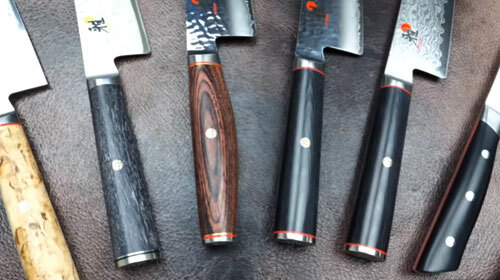 Each knife is hand-honed in Seki, Japan using traditional Japanese sharpening methods with a uniquely shaped handle designed to be exceptionally ergonomic and comfortable in the hand. 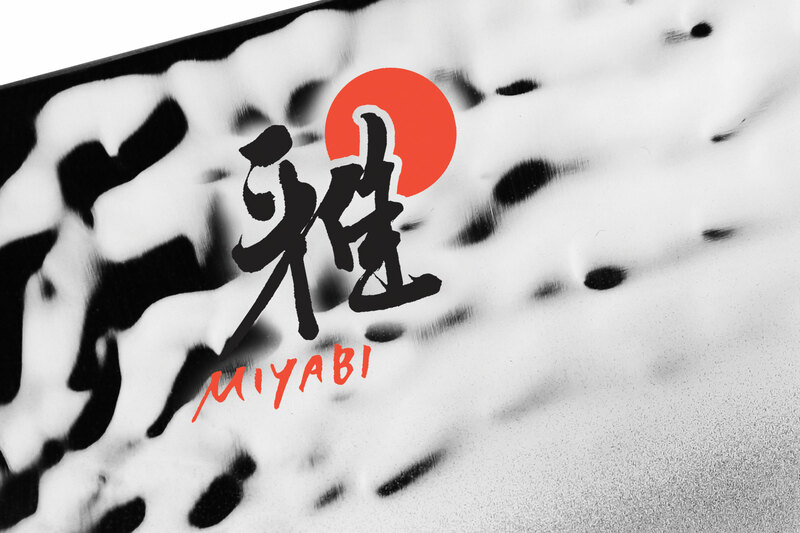 Miyabi Artisan SG2 starts off with the Tsuchime method, consisting of 3-layers of SG2 steel with a hammered finish to allow food from sticking to the blade. 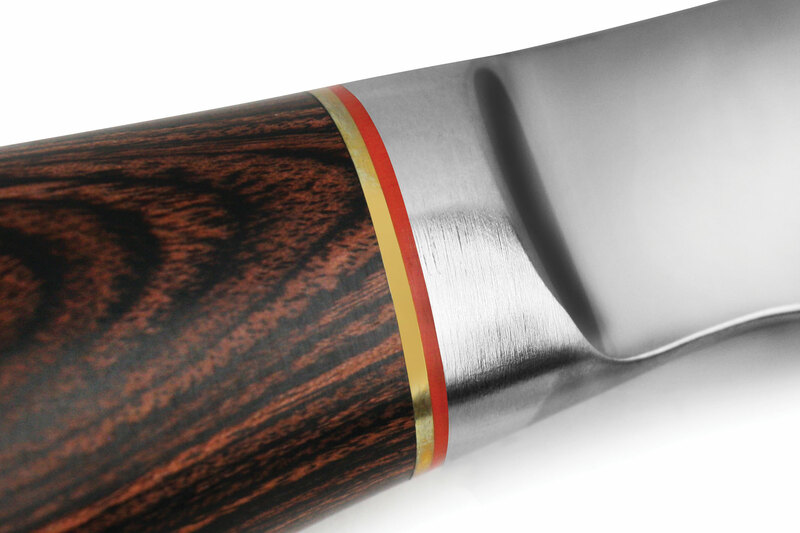 Next, the Honbazuke process involves the Katana edge being sharpened with an ancient 3-step process, which sharpens the blade twice on whetstones, followed by mirror polishing on a leather wheel. 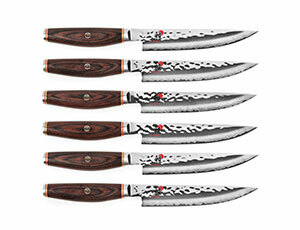 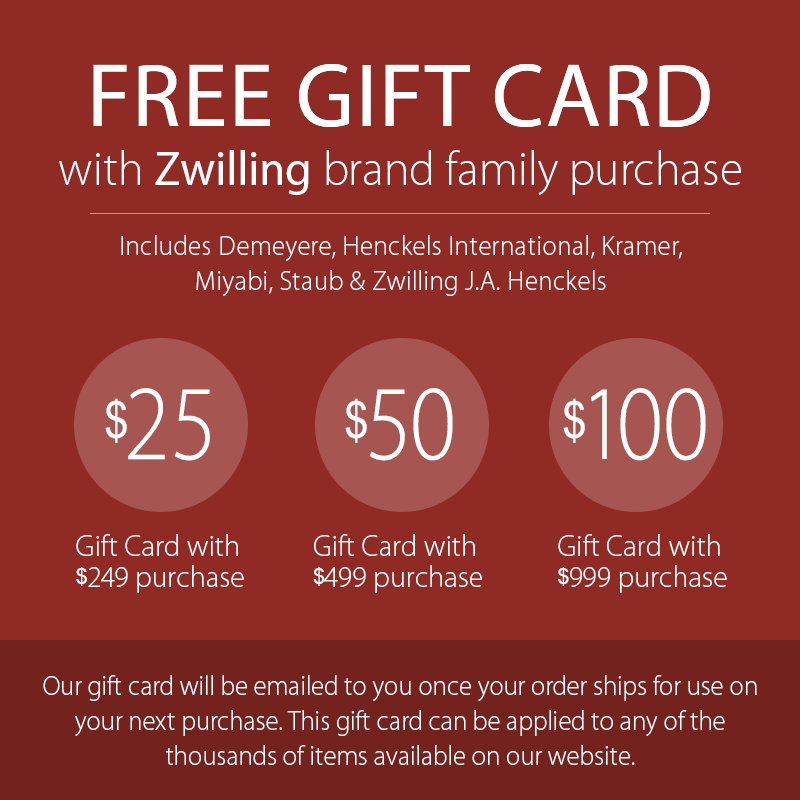 This process was used over 1000 years ago for samurai swords to create the ultimate sharpness. 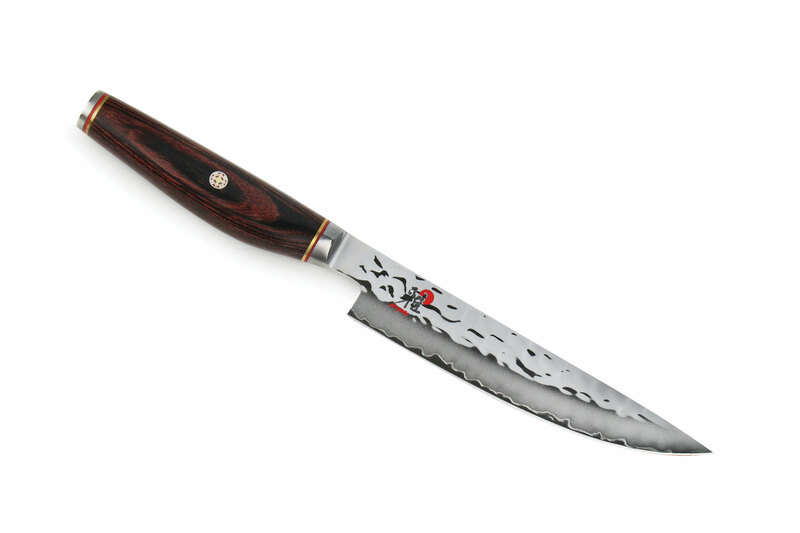 The Criodur process gives the steel hardness for blade retention, flexibility, and highly corrosion resistant. 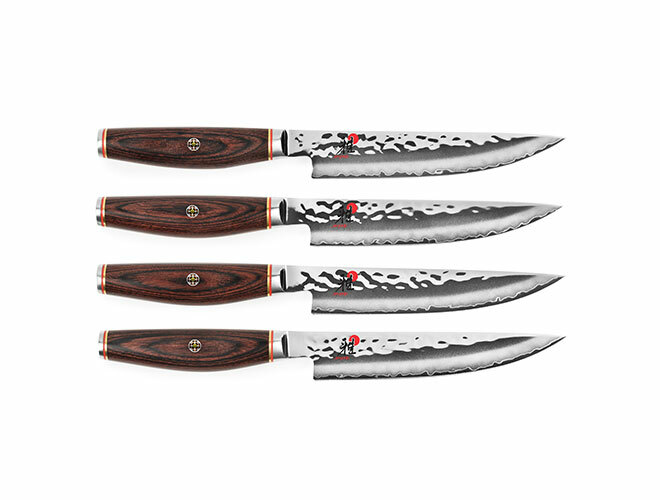 To deliver the outstanding performance, the blade is hand-honed at the traditional Japanese blade angle of 9 to 12° on each side, which results in a scalpel-like sharpness. 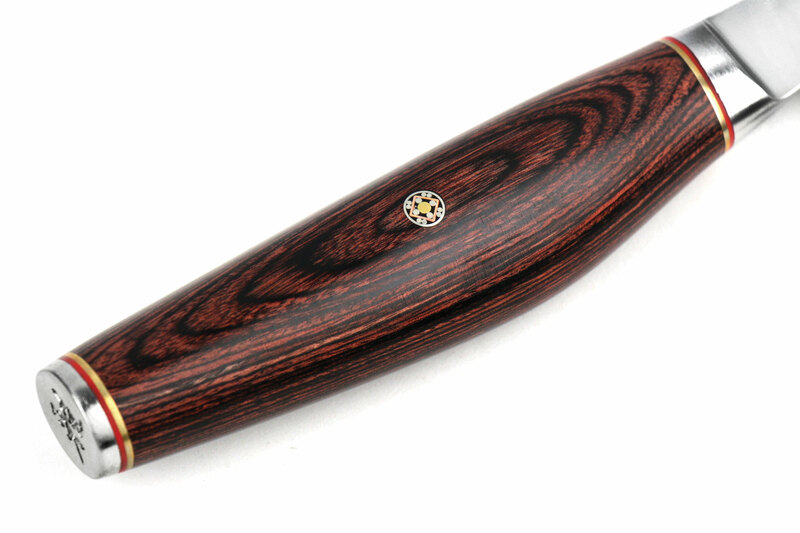 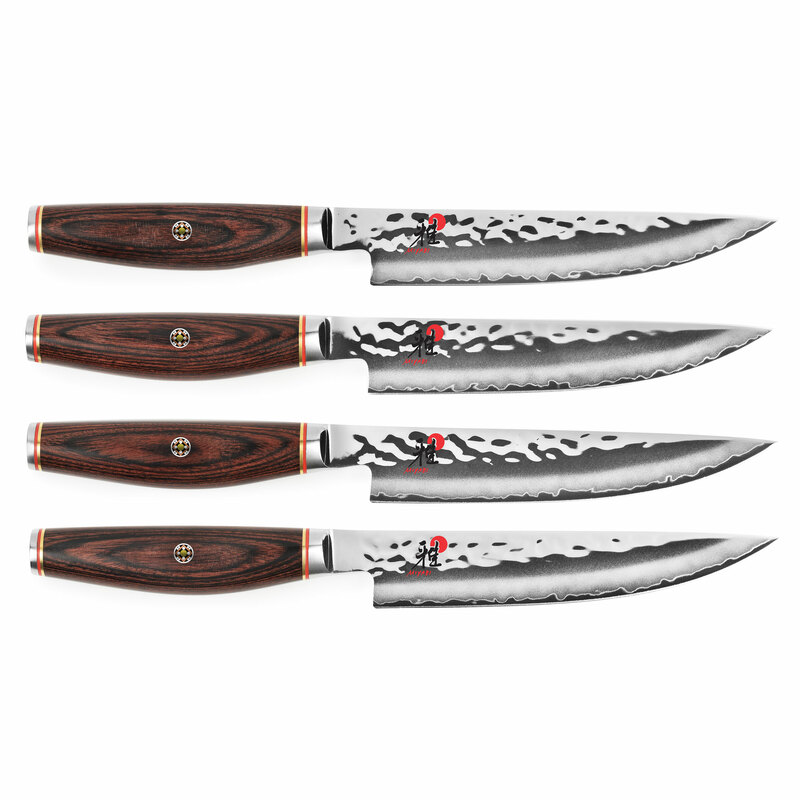 This outstanding performing blade is complimented by a stunning Cocobolo Rosewood Pakkawood handle, featuring a mosaic accent complimented by brass and red spacers and a stainless steel end cap with logo that adds balance. 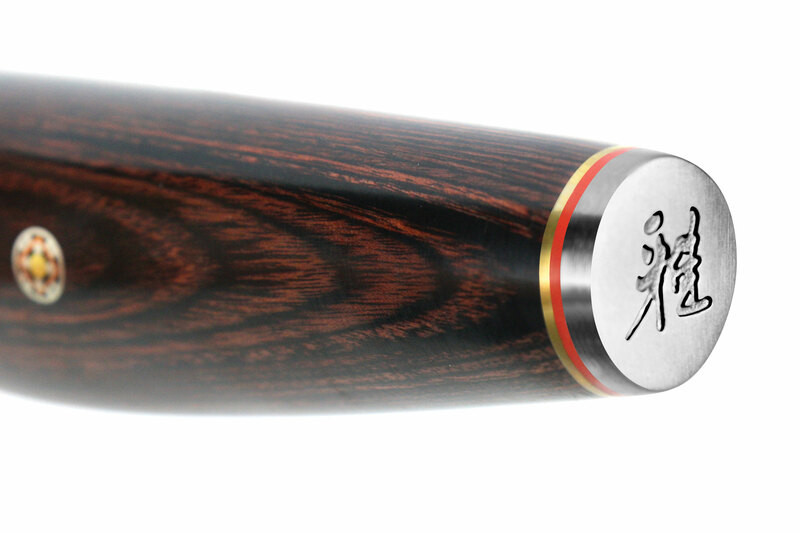 Handcrafted in Seki, Japan with a lifetime warranty.